The Goods and Services Tax (GST) slated to come in effect from July 1 puts cinema in the sinful category of fixed 28 pc similar to racing, betting, and casinos. The future of the regional film industries and small or medium services connected to cinema as a whole is allegedly at risk. The mixed reactions on GST by film personalities as of now are either based on half-baked information or a thorough research on ground realities. While the entertainment tax is merged with the service tax under GST, the finance ministry of India has put cinema and its added services in a slab that levies a composite tax of 28 pc. 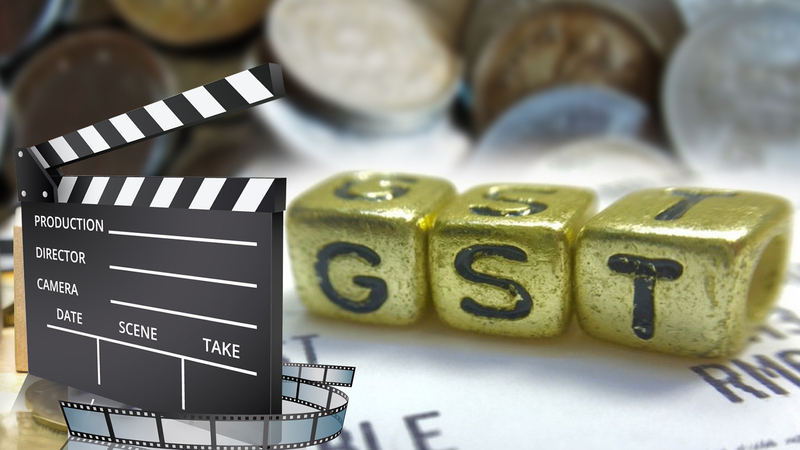 The objective of GST was to absorb all indirect taxes and avoid double taxation, however, the recent scenario in the Indian film business looks counter subjective. The GST has taken a theoretical assumption of many transaction-based taxes that are applicable at various stages such as the Service Tax, Value Added Tax (VAT), Entertainment tax, Octroi, Basic Custom Duty, etc. Although local taxes and surcharges are proposed to be waived off, there is much anguish in the film fraternity regarding the exuberant taxes. While many considers GST as the assassination of small budget film producers and single screen theatre owners, the Film Federation of India (FFI) assembled in Kolkata for an executive committee meeting to discuss the imperative as well as the impending issues following GST on movie tickets (28 pc), temporary or perpetual transfer of copyrights (12 pc) and production related services (18 pc). The outline of the meeting presided by C Kalyan, the newly elected president of FFI and was attended by executive body members from various industries representing all the regions in India. With GST rolling out in less than a month, the executive committee meeting tried to discuss how to look as distribution and exhibitor agreements in a fresh way. 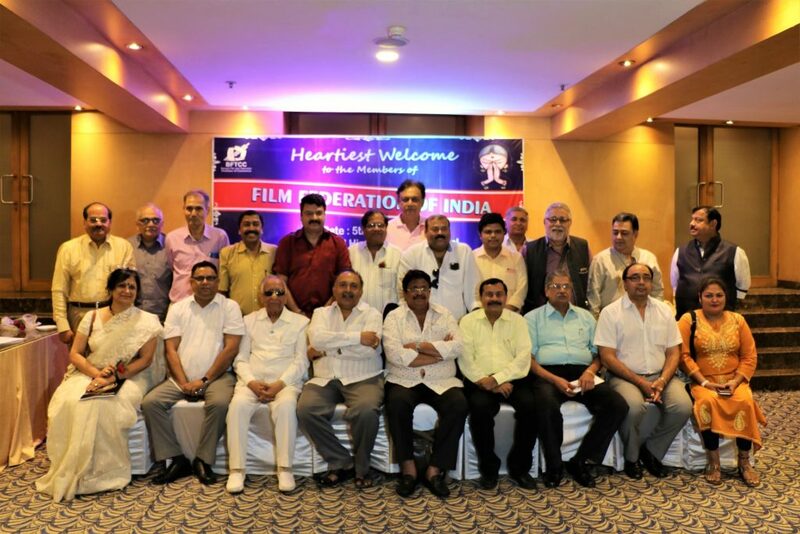 Moreover, the members of the FFI expressed resentment about the stance of the government and its unabashed response to their earlier representation with other film trade bodies regarding GST and its effect on the film business. The film business in India might appear like a lucrative business from a distance, however, FFI members discussed how the government is turning a blind eye to this otherwise volatile business. Few big films such as Bahubali (2017) and Dangal (2016) does not represent the industry and the sustainable improvement of the industry depend on the regional film industries; exactly where the GST strikes. “The ambiguity with the GST on the films released in India is our major concern,” said C Kalyan in an exclusive conversation with MIG. “We see a lot of vagueness in the rules and regulations and having the same slab for international films, Bollywood or Indian films, and regional films is quite a harsh step on the part of the government,” he added. The FFI members strongly believe that the Indian government should now get a clear idea about how the film industry works and what appears like a very lucrative business has a lot of risks involved. “To put in short GST is like the death bell of the film industry,” said Ravi Kottarakara, the hon. joint secretary of the South Indian Film Chamber of Commerce. “The worst thing that has happened to us in all these years is that we are put in the sinful category. Subjects like liquor, cigarettes, gambling, casinos and cinema are put in the same category of 28 pc. Are we doing a sin by entertaining you?” said Ravi in a rhetoric tone. There was a prevailing panic all these while when GST was broadly discussed as a national issue. However, once the slabs were announced, the film industry, especially the small producers from the regional sectors have started to criticise it openly. The uniform tax slabs of entertainment make it quite harsh on the single screen owners or theatres from tier 2 or tier 3 cities to match it with the multiplexes of metropolitan cities. Speculations reveal that the maximum price of a multiplex ticket in South India might go up from INR 120 to INR 155 from July 1. “There was no tax on the transfer of perpetual copyrights previously, some of the states had no entertainment tax and the production service tax was 15 pc which has also gone up by 3 pc,” Ravi was trying to elucidate their demands from the government. The intricacies that come with the setting off the taxes and filing it has also added a lot of headaches to the producers in India. “I am not against GST, but please don’t put us in the sinful category and look at our demands objectively. We thus request the government to put us in a lower slab and have it industry specific. You can’t expect a regional producer to pay as much as Disney or Fox will pay,” he added. The present government in its previous term under Prime Minister Atal Bihari Vajpayee was the one that gave films the identity of an industry. Sushma Swaraj was the minister of Information and Broadcasting in 1999. However, the present stance of putting the cinema on par with gambling is not taken in good spirits by industry insiders. The FFI members in the meeting planned a united effort to push their respective state finance ministers to take up this matter in front of the Union Finance Minister Arun Jaitley during the upcoming meeting on June 11. Although there are more than sixty issues to be discussed at the meeting, discussing the shortcomings of GST on the film industry holistically seems to be a challenge.